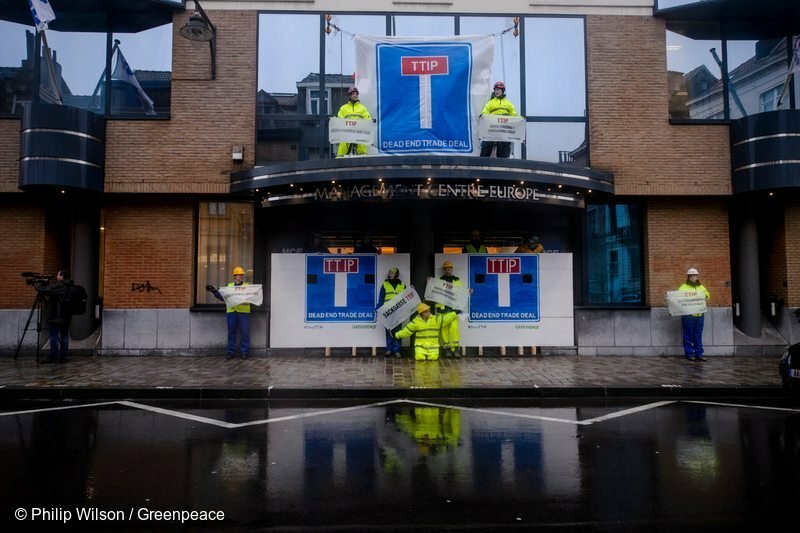 Greenpeace activists blocked EU and US negotiators from holding secret talks in Brussels for a trade deal that would give multinational corporations unprecedented power. The protesters warned that TTIP – the Transatlantic Trade and Investment Partnership agreement – is a threat for democracy, environmental protection, health standards and working conditions. 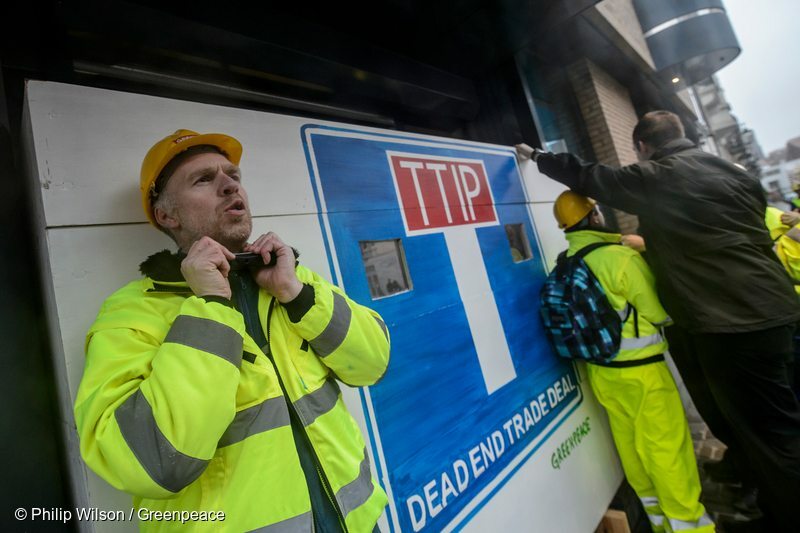 Greenpeace activists have blocked EU and US negotiators from holding secret talks in Brussels for a trade deal that would give multinational corporations unprecedented power. The protesters warned that TTIP – the Transatlantic Trade and Investment Partnership agreement – is a threat for democracy, environmental protection, health standards and working conditions. European and American trade negotiators have a tough week ahead of them. They are meeting behind closed doors to negotiate a new Transatlantic Trade and Investment Partnership (TTIP). We want to put an end to these negotiations, since the goal is to transfer huge power from elected governments to multinational corporations. TTIP threatens the very values underpinning our societies. People who care about democracy, environmental protection, health standards and working conditions should know what’s at stake. TTIP is not really about trade, but about expanding the power of multinationals at the expense of people and the environment. It’s about putting trade and corporate privilege ahead of public services and public protection. 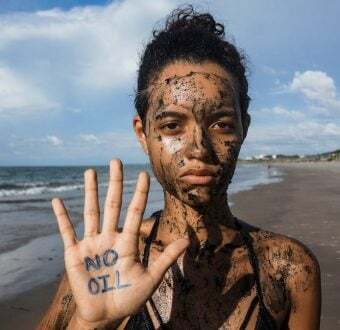 This is why Greenpeace is calling on the US and the European Commission – which negotiates on behalf of European governments – to protect the public interest and shelve these negotiations. Hundreds of thousands have taken to the streets in Washington D.C., Berlin, Amsterdam, Brussels and other capitals. Close to 3.5 million European citizens have already signed an EU petition against TTIP. The trade barriers that negotiators say they want to remove are in fact the standards that safeguard our health, our environment and our way of life – the very things which must be protected from corporate greed. Consumer organizations, trade unions and even local businesses on both sides of the Atlantic are troubled by this trade deal. Their concerns are legitimate and growing. The talks we interrupted today are due to continue all week. Negotiators will discuss plans to set up a special TTIP tribunal for foreign investors, a major instrument in the handover of power to big business. The proposed Investment Court System (ICS) is a special court where foreign companies can sue governments and demand massive compensation if they feel that any rule or regulation affects their investments. Under a similar system, a Canadian energy company recently demanded $15 billion in compensation because President Obama rejected the polluting Keystone oil pipeline. This pseudo-court is discriminatory, unfair and could cost taxpayers a fortune. It would set up a privileged legal system for corporations, above the jurisdiction of national courts. Companies could sue governments, but not the other way around. 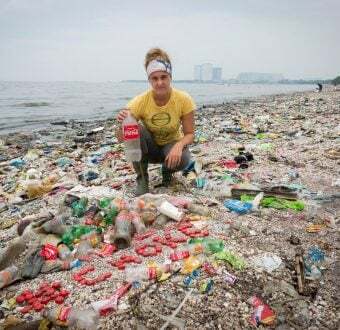 And ICS would also have a major ‘chilling effect’ on public authorities, discouraging them from adopting or implementing laws to protect the environment for fear of being sued. 2016 is a crucial year and we are in a race against time. President Obama and the Commission want to complete TTIP negotiations before the US election in November. They fear that a new president might have second thoughts about TTIP. Several presidential candidates have already expressed serious concerns about this trade deal and another one between the US and Pacific countries (known as TPP). We will continue to take action against TTIP, because it threatens our values and our environment. We won’t let politicians put big business in charge. We need you to join the millions who already oppose TTIP. To find out more about the EU-US trade deal, take a look at our 23 burning questions about TTIP.